Central Missouri floods are dangerous, and dangerously frequent. Keep an eye out for the Central Missouri flood warning signs that can help you predict when a flood is coming to your area. Acting before the flood arrives gives you the best chance to preserve your home and your property. Central Missouri commonly floods in a “flash flood” situation. The ground becomes dry. When the ground is dry, rain bounces off of it the same way that water will bounce off a bone dry sponge. You have to wait for the sponge to slowly dampen before it becomes absorbent. When a lot of rain falls on dry ground, there’s nowhere for the rain to go. It collects on the surface and begins to flow downhill, flooding out rivers and pooling in geographically low places. If the first rain of the season seems heavy to you, start preparing for a flood. Hopefully, it won’t happen, but as little as six to eight inches of heavy rainfall after a long dry period can cause a flash flood. Warning signs for your area might be different than for other Central Missouri floods. If you live in a valley or depression, it’s far more likely to flood at your house than in the rest of Missouri. If you live next to a river or downstream from a dam, you should watch for updates on the condition of either. 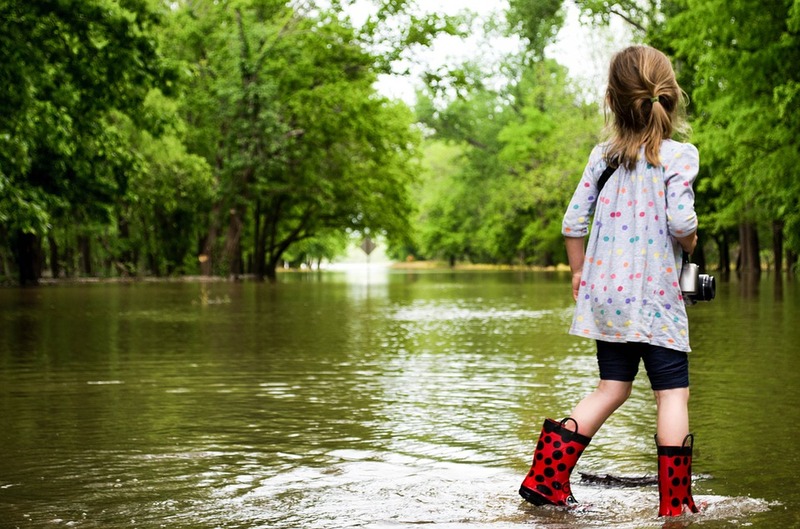 Know the risks of your neighborhood and you’ll be better prepared for a flood. The most ignored warnings signs of a flood are literally flood warning signs. People tend to see alerts on TV or hear them on the radio and blow them off. It’s tempting to think that you know your land better than someone on TV. If you’ve lived in an area a long time, you trust your instincts. While knowing the land is one thing, it’s not the only thing. IF there’s a flood warning, take it seriously. It could help you prepare far in advance of a flood. Sometimes warnings are wrong–but sometimes they’re not. Central Missouri floods aren’t always easy to spot. Flash floods can happen with just a few inches of rain after a dry spell. Other floods take all fall and winter to build so they flood in the spring. No matter what, know the risk of flooding in your area and heed the literal flood warning signs you see and hear.